WE CAN OFFER THE VENUE FOR NOT ONLY WEDDINGS BUT ALSO EXCLUSIVITY FOR MEETINGS, SIGNIFICANT BIRTHDAYS AND WAKES. Have your Special day at Coltsfoot. Sit in our Main Barn amongst the glorious Hertfordshire countryside. Spring, Summer, Autumn and Winter Weddings. Exclusive Use ensures it is just you and your chosen guests at the Venue. As an Exclusive Use Venue we are available to hire at various times of the year. 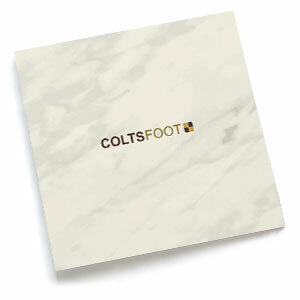 Coltsfoot is the ideal setting for your Corporate meeting or team building event, away from the formal boardroom style. Our venue has been in operation since 2000, prior to this it was a working livery and the stables are now our luxurious and bespoke suites. We have fifteen suites, all extremely spacious and lovingly maintained with traditional beams and vaulted ceilings enhancing the stable feel, all located within the charming courtyard and close proximity to the main barn. All bedrooms are equipped with complimentary wi-fi access, televisions with standard free-view channels and fourteen of the rooms have stylish baths and showers. Throughout the year we will be opening up our hotel to host our own events which will be advertised on our website, Facebook and Twitter with details. Coltsfoot is within easy reach of the A1 and the nearest train station, Welwyn North, is on the mainline to London, King’s Cross. We are in close proximity to Knebworth House, Hatfield House and the beautiful Ayot St. Lawrence, home of George Bernard Shaw. Our NEW weddings brochure is now available to browse or download. CLICK HERE to take a look through our wedding brochure.